Click here to visit their facebook and like them. Then click continue on the “Free Product” tab and fill out the form on the next page to request your free product coupon. Allow 4-6 weeks for delivery. Image credit: Herbal Essences; thanks Isabel! 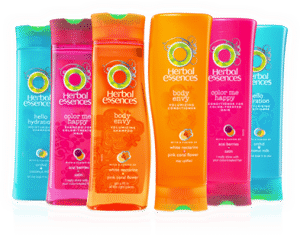 My daughter and I love Herbal Essence, it is great!! I love Herbal Essence’s products. Love this use herbal essence all the time. Herbal Essences is the only product i can use on my hair. Hi Good Evening . This is Danette. I Love Free Herbal Shampoo & Conditioner.